After a week of using it 8 hours a day, I can affirm all of these findings. What has changed, however, is that I was turned on to two great resources for learning how to use Sublime Text well, and they have made all the difference in Sublime Text going from a good editor to a great one. The first is a free video tutorial from tuts+ called Perfect Workflow in Sublime 2. It is well worth the time to watch and is filled with useful techniques and tips and tricks. The course moves along briskly and the presenter is excellent. The second is an excellent e-book named Sublime Productivity. 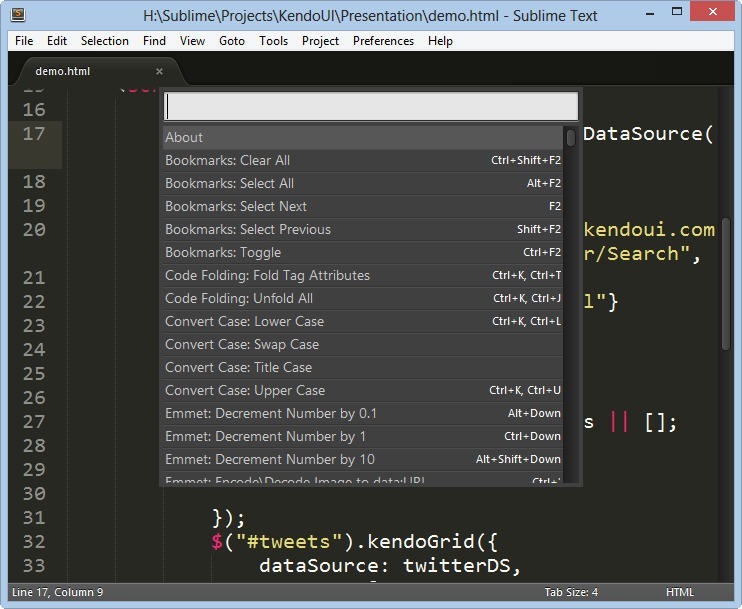 One advantage of the book is that it is fully up to date on Sublime 3 and there are a lot of cool new features in 3. The book isn’t free, but Josh Earl, the author, is working hard on it, and asks you to pay what you can afford, starting at $19.00. Watch the first or read the second, or do both. In either case, the increase in your productivity and your satisfaction with the product will be stunning. Among the things I learned are that there are quick ways to create a lot of snippets; it is easy as pi to create keyboard shortcuts; projects really are weird in Sublime; you can get Sublime to layout your contents any way you want but it won’t necessarily be obvious how to do it; multi-select can save you a great deal of time; and much more. If you like to tinker with your editor, then Sublime will put you in heaven; if you don’t, that’s ok, it works pretty great right out of the box. I personally use SublimeText 3 right now for a project using Go (the language). I’m satisfied so far, but I have to agree that the documentation isn’t very good. Hence, for programming websites I still prefer Jetbrains’ PhpStorm/WebStorm, which is of course less general, but has tons of functions and in contrast to Sublime offers excellent documentation which, however, is rarely needed as it’s more intuitive, imho. I’m definitely going to have a look at Sublime Productivity! I have am also a Sublime Text convert. Having previously used TextPad and a bit of Notepad++, I must say that I absolutely love this application. Mainly its speed, great syntax highlighting and plugin support for me. 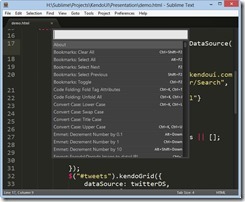 I’ve been very impressed with Sublime as well, having used Notepad++ for quite a while before discovering Sublime. I’ll be sure to check out the resources you mentioned. Thank you for the article!